The Redding Fire Department and Redding Firefighters, Local 1934 are saddened to announce the passing of one of their own. 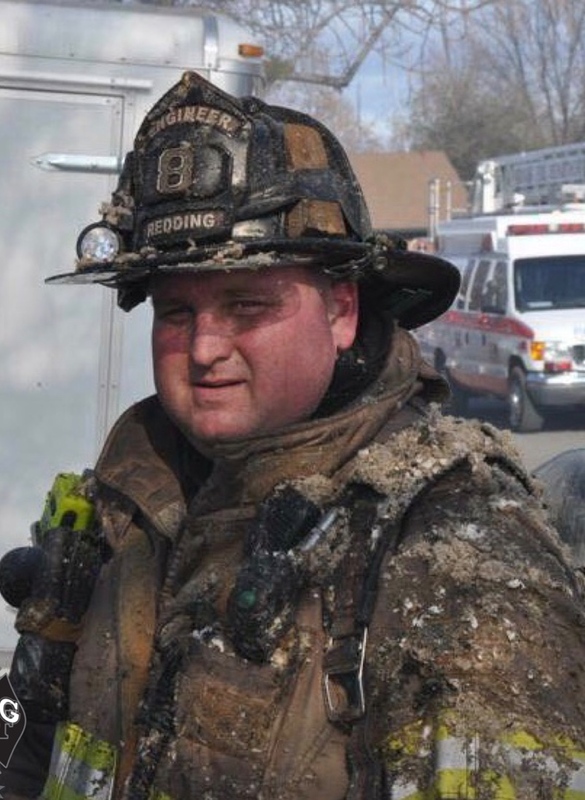 Fire Prevention Inspector Jeremy Stoke lost his life on the evening of July 26, 2018, while battling the Carr Fire in Shasta County. Brother Stoke joined the Redding Fire Department in 2004, and had worked as an engineer before moving up to become an inspector. He was killed on the front lines last night, while helping with evacuations in Redding ahead of the blistering and deadly blaze. A Celebration of Life for Jeremy Stoke will take place on Saturday, August 11, 2018 at Redding Civic Auditorium, 700 Auditorium Dr., Redding, California. The memorial service will 12:00pm. Uniformed personnel are asked to arrive to stage no later than 10:00am at the location of the service. HONOR GUARDS: All departmental and local union honor guards are encouraged to participate. Honor Guard personnel are asked to bring Class A dress uniforms, as well as any available flags, poles, harnesses, tools and pike poles. Honor Guard personnel are being asked to RSVP as soon as possible to Ben Dominguez of the California Fire Foundation’s Last Alarm Service Team (Cal LAST) at either 916-709-9069 or bendoverfire@yahoo.com. APPARATUS STAGING AND RSVP: Departments sending apparatus are asked to RSVP their participation as soon as possible. Apparatus RSVP contact: Erick Mattson, Redding Fire Dept. 530-604-3895; emattson@cityofredding.org. Apparatus are asked to stage at the Memorial location by 9:00am.